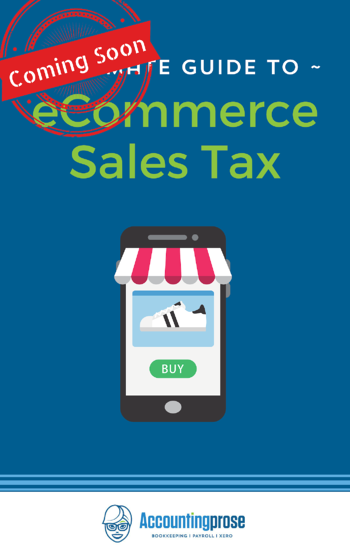 If you are a young entrepreneur or small business owner, then you have probably spent many hours at your favorite local coffee shop brainstorming, creating marketing plans, and envisioning the future of your company. Like us, you've consumed copious amounts of coffee, tolerated a never ending indie rock play list, and struggled to find a place to sit with decent elbow room. Coffee shops and co-working spaces provide their customers with an opportunity to be productive alongside other similarly diligent minds. The socialization and relaxation of a place like this is hopefully the impetus for super genius ideas. 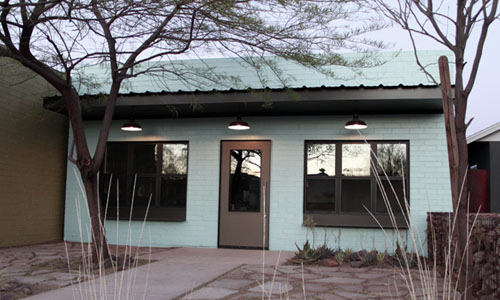 We've had the wonderful opportunity of working at some truly awesome coffee shops and co-working spaces in Phoenix. Here are our favorite places to work away from home. On the best days Phoenix has to offer, you will have to stop by Giant Coffee to take advantage of their open air/indoor coffee shop. They offer personal desk like seating with easy to access power, long community tables, and brilliant natural light. Plus, it’s about a minute walk to the Burton Barr library, which in itself is another amazing place to work from. 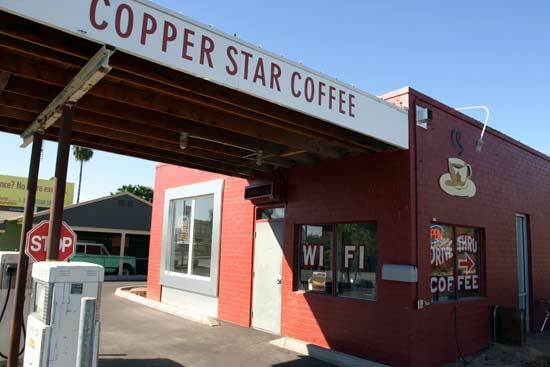 Copper Star was one of the first places we visited in Phoenix. 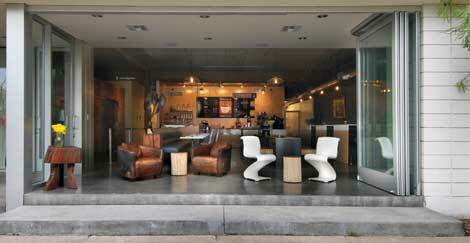 Located on 7th Ave., it is a vintage gas station turned coffee shop. It has semi industrial décor with local art hanging from their concrete walls. On nice days they also have a garage door that opens to let the light and air in. 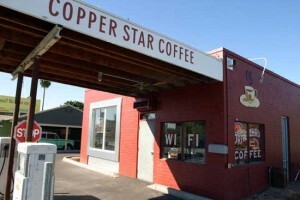 At times it gets busy, so start your day early at Copper Star if you want to get a good work space. 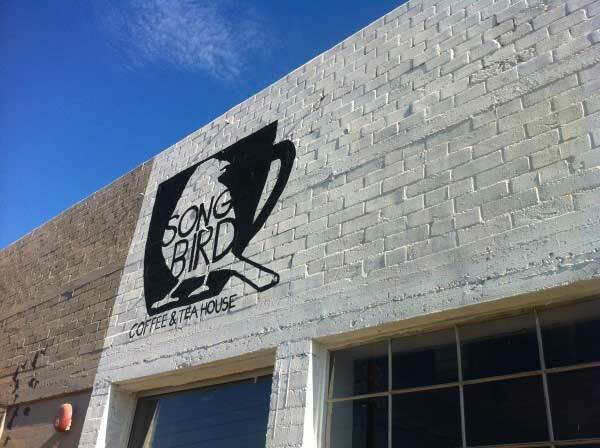 While we were temporarily housed at Monorchid, we frequented Songbird daily. We’re big fans of their fresh pour-over coffee and their soda espresso. While at Songbird you’ll be right in the heart of Roosevelt Row. After a long day of work you can walk over to a nearby restaurant and complete your local adventure. We are extremely fond of our local café. 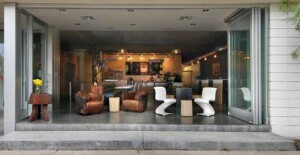 Located in Coronado, Astor House provides excellent coffee, service, and food. They serve an amazing Japanese brewed coffee which will light a fire underneath you. They also have Blaise Farber, who we feel is the best bartender in Phoenix. His cocktails are as good as they get. We love to meet clients here and hold Accountingprose super genius meetings! Come for coffee or after work cocktails. Of course our favorite place to work is our home! Co-Hoots! We’ve been at our new location on Washington row for almost a month and we can’t stop talking about it. The people we work with there are our Phoenix family; we’ve grown close to all the businesses that operate out of Co-Hoots. If you are interested in checking it out let us know and we can have you as our guest.